Joe Boyles, from Pensacola, FL, holds a Bachelor of Arts from Birmingham-Southern College. He will spend this coming year teaching English in Hungary with his new wife. Jake Livingston, from Tupelo, MS, holds a Bachelor of Arts from Birmingham-Southern College. He is currently a first-year medical student at the University of Alabama at Birmingham and planning a wedding of his own. 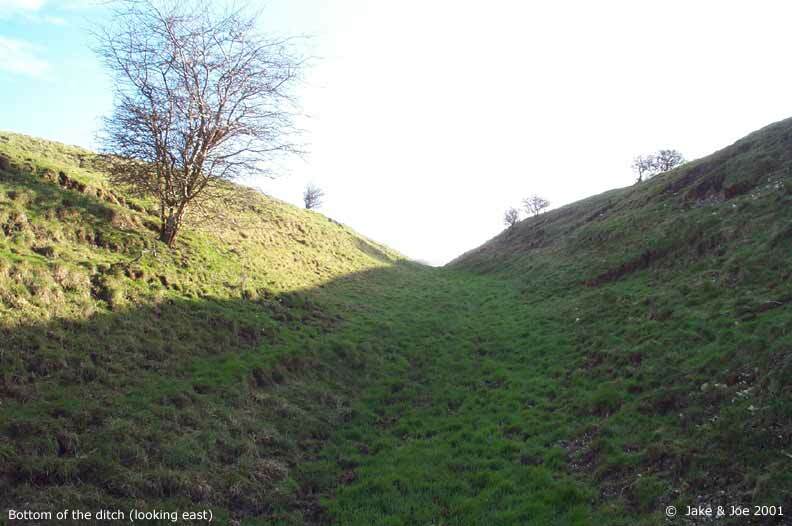 Wansdyke is a grand bank and ditch earthwork that extends (in fragments) from just south of Bath to the Savernake Forest south of Marlborough. 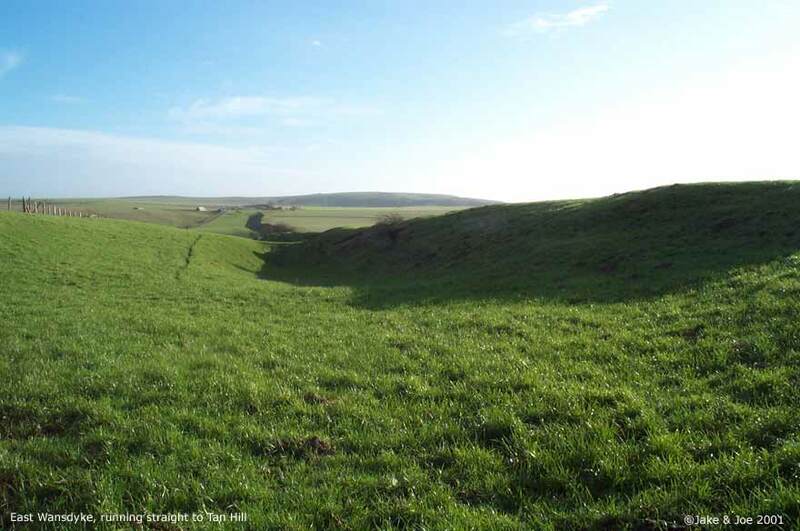 Helen Hill Miller sees the purpose as defensive, saying that it "was clearly built with protection against an enemy coming from the north in mind," as the ditch is on the north side of the dyke. Though it definitely has the appearance of a defensive work, it has also been proposed as a line of demarcation between territories, as such a large work would require a large army to patrol it. Edwin Guest, in his Origines Celticae, proposes that it may have marked the northern boundary of Dumnonia. This kingdom, covering from Wiltshire to Cornwall, is the area richest in Arthurian lore. Its age has been long debated, but the work is generally accepted as post-Roman and pre-Saxon, which fits nicely into the Arthurian time frame. The work is assumed post-Roman because not only does it lack the style of the Romans, but they would have no need for such a boundary in a land so indisputably controlled. 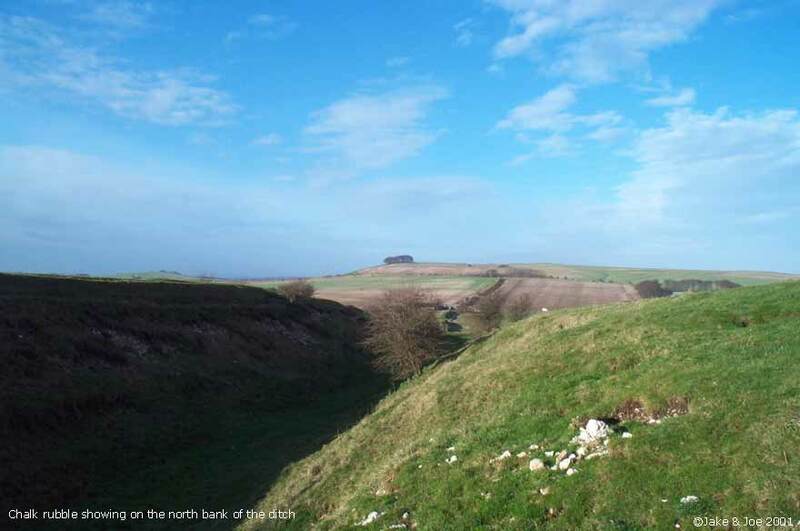 The name Wansdyke in Saxon means Woden's Dyke, which suggests that it existed before their encroachment into the area. They perhaps saw this huge earthen structure and could only attribute it to one of their gods. The name also helps in dating; a polytheistic namesake would have been unlikely after the Saxon conversion to Christianity in the 630s. 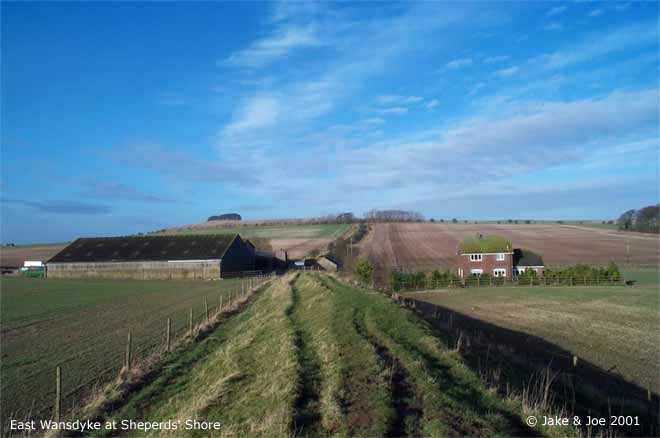 The portion of Wansdyke we visited was just north of Devizes on the A361, running through the property of a farm called Shepherds' Shore. We asked for permission to visit at the farmhouse. 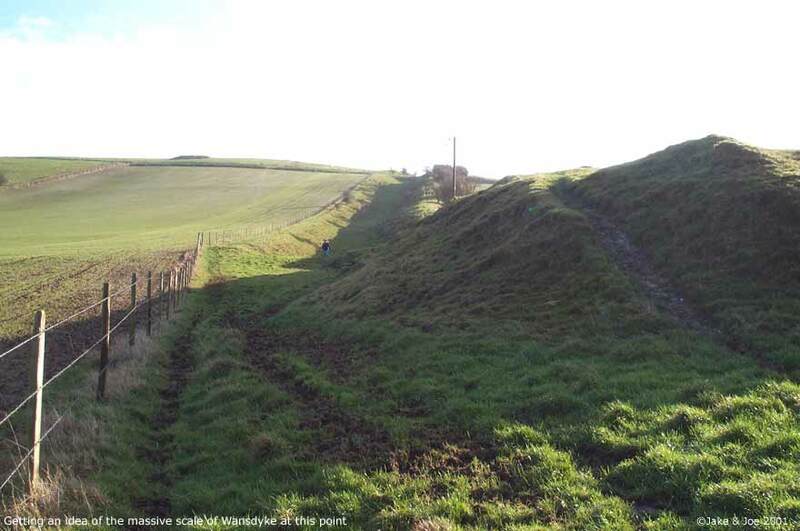 There are, however, many other accessible sections of Wansdyke. This area, we hear, is one of the better preserved. To see a Streetmap.co.uk map of the area around Wansdyke, click here. 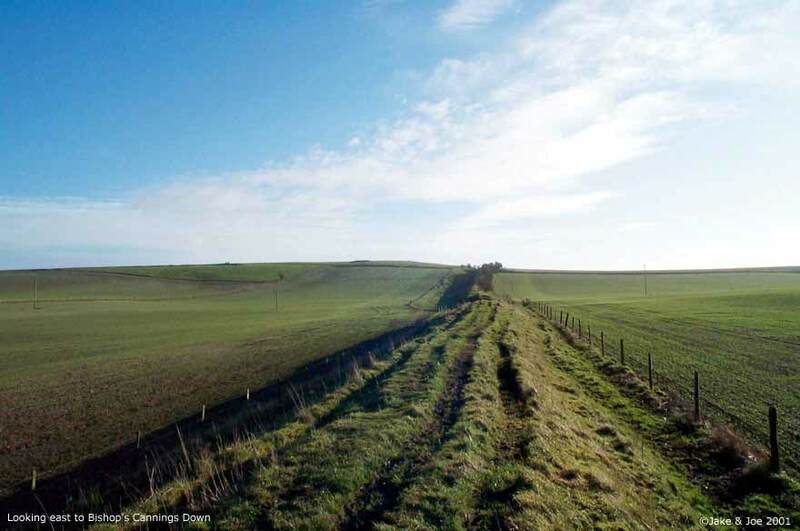 Though you can find remnants of Wansdyke along a stretch of almost 40 miles, we chose this one because it was convenient for us. As it turns out, this area has one of the better preserved stretches. The dyke runs from the Bath area for 13 miles, then disappears for 15 before continuing on towards Marlborough for another 10 miles. 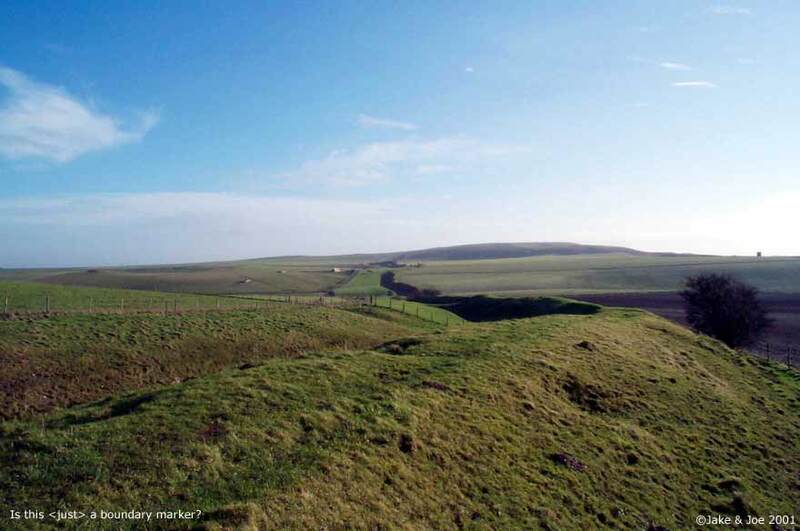 Many scholars say that East and West Wansdyke were once one large work, though a few contend that these may have been two separated dykes. 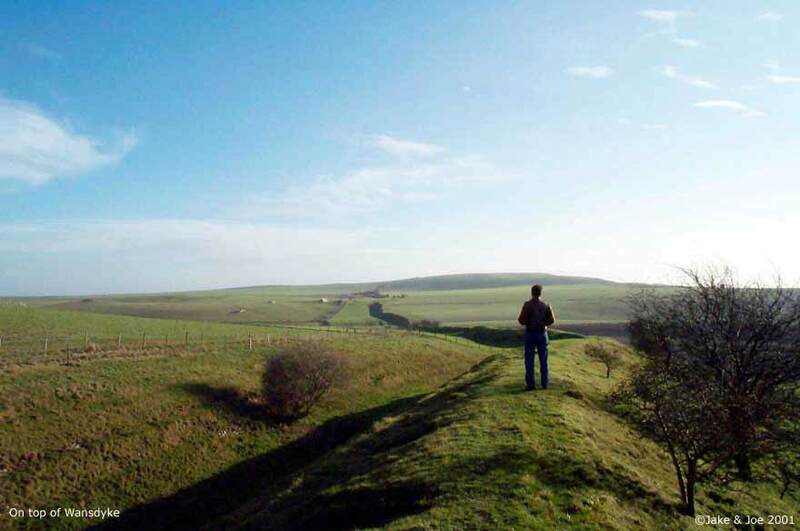 Wansdyke runs across the A361 by a farm called Shepherds' Shore. We could see the trench running for miles in both directions, but clearly the most interesting portion ran by the farm. We couldn't tell if the dyke was on its property or not, but we thought it best to ask permission from the owners before we hopped the fence. They weren't the most inviting people, but had no problem with us going on their property to explore Wansdyke. From trough to crest, the bank looked to be roughly 20 feet high. We walked along it for about half a mile, taking pictures and enjoying the view. Got up at 8:30--took a shower last night and felt ok so didn't take another this morning--and we were ready for a full English breakfast at 9:00. It was a pretty hearty one too--cereal, toast, eggs, sausage, bacon--it filled me up and lasted a while. We set off around 9:30 for Wansdyke, the portion just north of Devizes. Had no trouble finding it. The only (minor) problem we came across was that the good part was on a private farm called Shepherds' Shore. There was a car in the driveway, so we rang the bell and the lady said it was fine if we went out on her property for a while. We were kind of concerned because there was a sign at her door that emphatically proclaimed that they were NOT a car repair shop and could NOT help stranded motorists. But she was very polite and showed us the best way to get out there. It was a big ditch. A real big ditch. We walked up and down it, taking pictures from a variety of angles, walking up the hill and down. It was real isolated countryside--you could see miles in every direction. There was a hill to the northwest of us that had one of those big chalk horses carved into the side. We missed those last time. Like everything else over here, its hard to imagine how people without helicopters or walkie-talkies accomplished such feats. And then we tried to upload the pictures. BUT the computer decided he didn't want to cooperate and froze up and still is right now, as I'm about to go to bed. Hopefully it'll work tomorrow or we're gonna have to go old school for the rest of the trip. Well, the computer kind of has us in a bind right now. It has refused to boot up all day. We have shutdown and restarted it numerous times, but it always starts back to the same frozen screen. We found a computer store down the way from Marisha's Guest House, so we'll try that tomorrow. If they can't help us fix it, then the trip will become the Joe and Jake Unplugged Tour. We'll just have to rely on paper maps and regular cameras. No Worries! This morning we had a huge English breakfast. Jake and I were both stuffed. We got up at 8:30 after a great night's sleep. After breakfast, we headed to a spot on Wansdyke. Robert Vermaat told us this spot would be great for pictures. 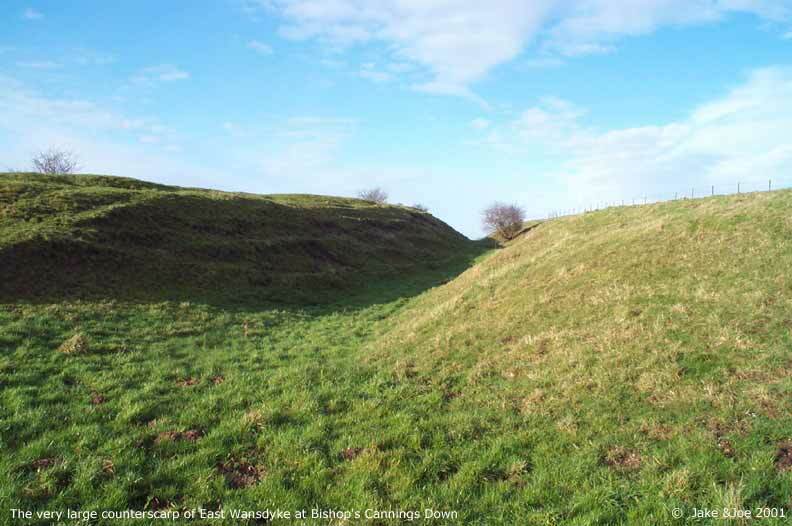 Robert runs the Vortigern Studies Website and said that this was one of the best-preserved sections of the long earthen wall. To get there, we drove past a horse carved into the white chalk hillside. The town was called Labour-in-Vain Hill. What a depressing place to live. 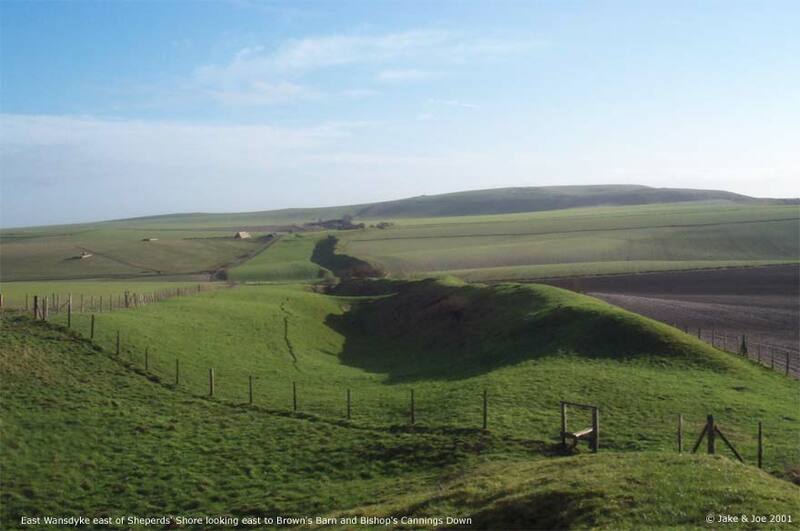 Wansdyke, according to Ashe, was built about the time of Ambrose or Arthur and could have been a marker for the outer edge of the Cornish kingdom of Dumnonia. We drove up a road that cut through the dyke at a farmhouse. I knocked on the door and asked the lady of the house if she minded us tromping around on her property. She pointed us to a place where we could safely cross the barbed wire fence. From the bottom of the ditch (North) to the top of the ridge (South) was about fifteen feet. Maybe it wasn't quite high enough to significantly hinder an enemy, but it does seem like a hell of a way to mark the property line. 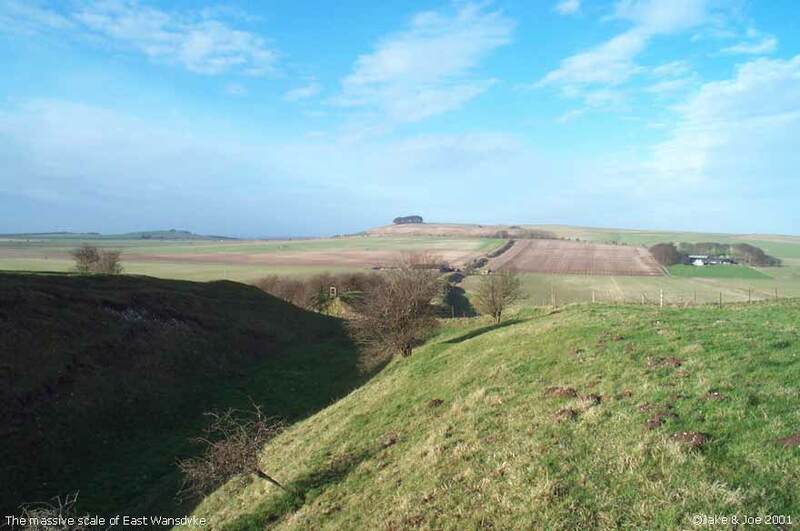 We walked the ridge to the top of a hill and got some great pictures of Wansdyke winding into the distance. Copyright � 2001, Joe Boyles and Jake Livingston. All rights reserved. Used with permission. Comments to: Jake Livingston and Joe Boyles. Climbing east on the massive bank & ditch of East Wansdyke east of Shepherds' Shore. Looking back west to Shepherds' Shore. Looking east to Bishop's Canning Down. 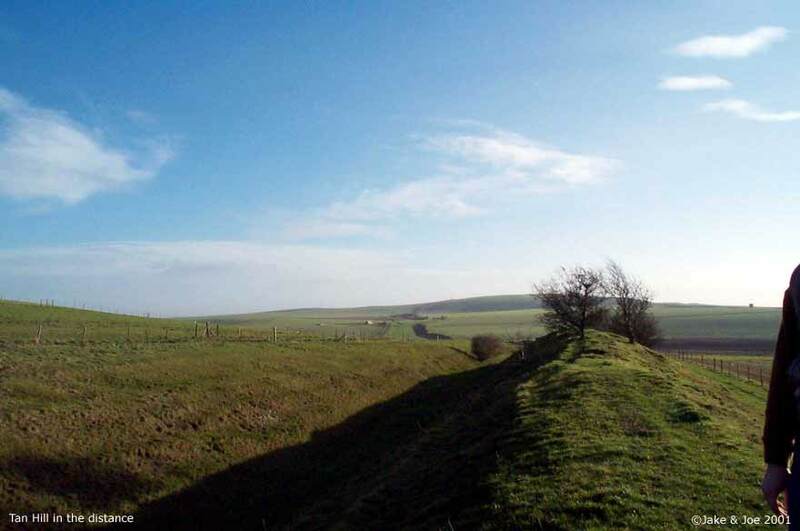 Wansdyke has resumed an ancient role, that of a simple road. Getting an idea of the massive scale of Wansdyke at this point. Chalk rubble showing on the north bank of the ditch. East wansdyke on a beautiful winter morning. Tan Hill in the distance. East Wansdyke, running straight to Tan Hill. 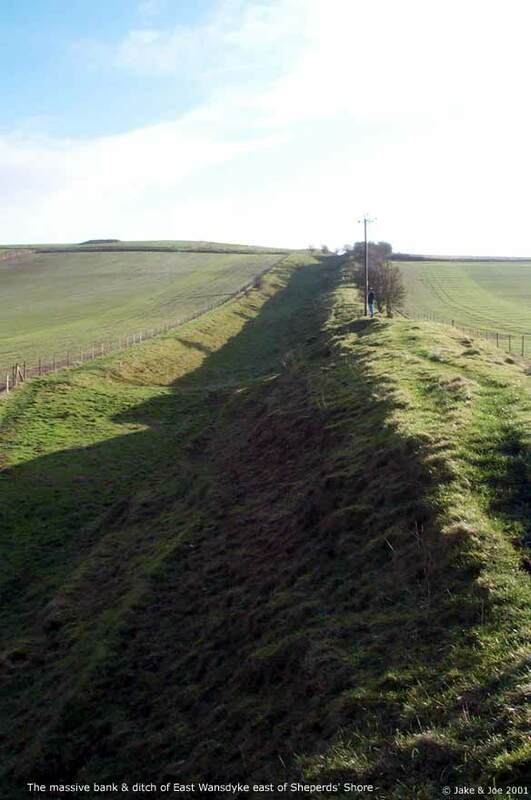 This image from the bottom of the ditch (looking east) shows the scale on which East Wansdyke was constructed. 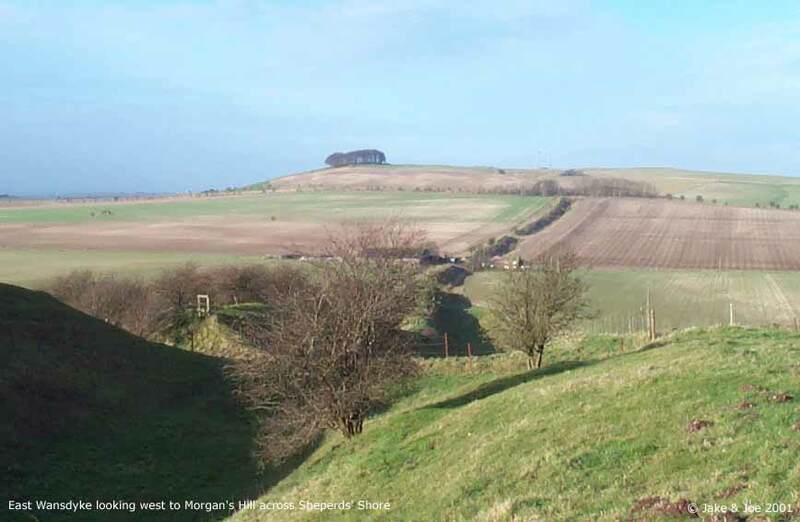 This image shows the very large counterscarp, which seems to have been created especially for counterbalancing the unfavorable position (behind the crest) of East Wansdyke at this point. Would you say that this is <just> a boundary marker? 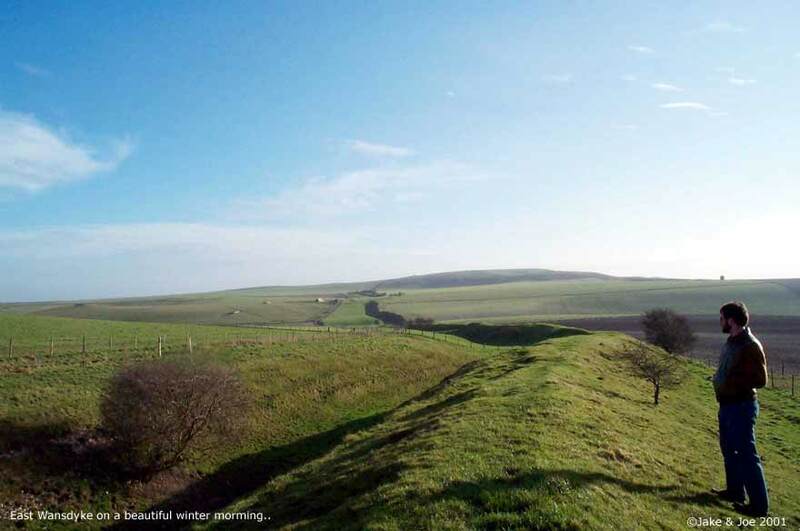 The beautiful image of a wintry East Wansdyke running towards Tan Hill. The massive scale of East Wansdyke. The long way down again.. The long way back to the car: East Wansdyke looking west to Morgan's Hill, across Shepherds' Shore. 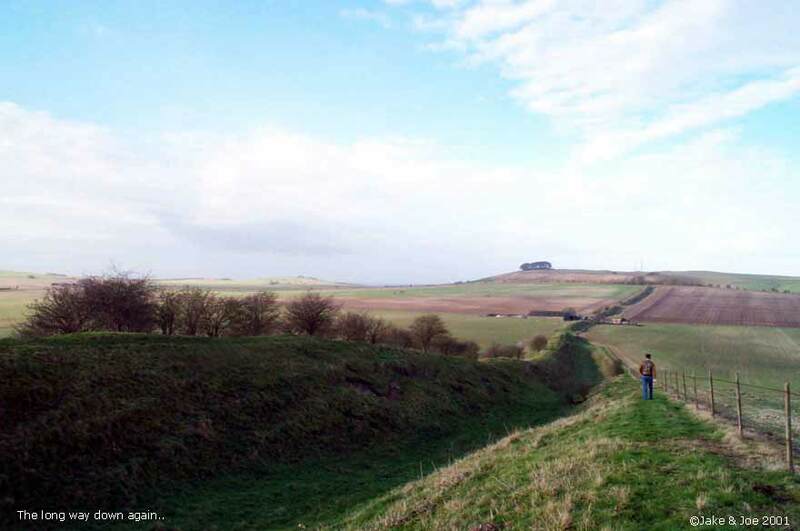 VortigernStudies and Wansdyke Project 21 are copyright � Robert Vermaat 1999-2009.